How can your loyalty program stand out? We had a look at five trends that we believe are shaping the future of customer loyalty, providing some insights for brands looking to launch or revamp their loyalty programs. It should come as no surprise that a loyalty program is a valuable asset for your brand. Retail loyalty programs have been well established in Southeast Asia, the Pacific and China since the 1990s, and their benefits are no longer to be proven. Loyal customers spend more money, and shop more frequently: highly-engaged customers buy 90% more often and spend 60% more per transaction, according to the Rosetta Consulting study(1)The L2 Customer Engagement Report Series in partnership with Rosetta. Another major benefit is the broad data collection allowed by loyalty programs, which will help you to better know your customer and take the best business decisions. However, many brands are failing to meet customer expectations: 54% of loyalty memberships are inactive, and 28% of consumers abandon loyalty programs without redeeming any points(2)Colloquy Customer Loyalty Census, 2017. 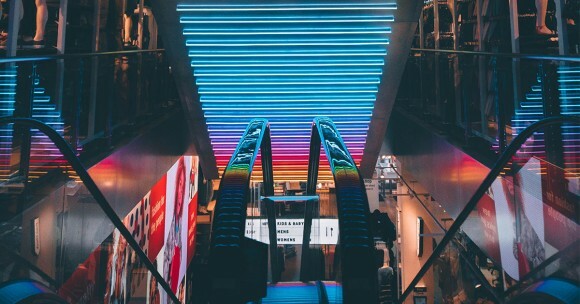 As the number of loyalty programs rise and become more complex – with many brands moving to multi-channel programs – it is getting harder to differentiate. How can your loyalty program stand out in this competitive environment? We had a look at five trends that we believe are shaping the future of customer loyalty, providing some insights for brands looking to launch or revamp their loyalty programs. When it comes to shopping, omnichannel is the new reality. Consumers are used to navigate through multiple channels and touchpoints and they expect loyalty programs to be a seamless experience as well. Omnichannel programs also bring value to the company, as they allow the capture of omnichannel data. You can use this granular data collected across various touch points, consumer behavioral patterns analytics and deep business intelligence insights in order to deliver the right message at the right time and offer better customer experiences. Lane Crawford, a global luxury fashion beauty and lifestyle department store, gives its members a virtual membership card immediately after they subscribe to their loyalty program online. The virtual card can be used in-store after you download it on your mobile device. You can also strengthen the omnichannel experience by encouraging your customers to interact with the brand on multiple touchpoints. 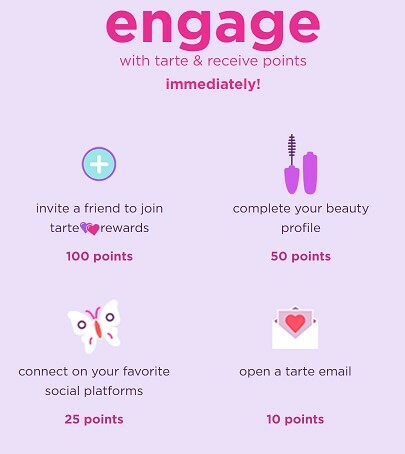 For instance, with Tarte Cosmetics, a global beauty brand, you can earn points by opening an email or connecting on your social platform. Whether it concerns earning, spending points, or any contact with your loyalty members, omnichannel is key to achieve a successful loyalty strategy. The “one-size-fits-all” approach is no longer the standard. The technology for data analytics has evolved, and the GDPR (General Data Protection Regulation) has made personal data treatment a hot topic this year. Consumers have become well-aware that brands are collecting more and more information about them. What they expect in return is that the brands use this data to offer them personalized and relevant experience. DSW, an American footwear retailer, has sent personalized emails to each of their members to inform them of how many points they needed to receive a 10$ certificate, which deals they could get, and other personalized information about their loyalty account. They saw a 64% uplift in email opens and 13 lift in click-through rates. The main driver for consumers to sign up to a loyalty program is rewards. And when it comes to which is the most valued among loyalty-program benefits, monetary incentives – such as discounts, cash back or free products – top the list in every region. But that’s not all. A study by Nielsen reveals that about 8 out of 10 of global loyalty-program participants value the ability to choose among several types of rewards. Diversified rewards allow customers to find more value, as it gives the impression to get more advantages. Also, it will help to attract more customers: different customers will be motivated by different types of rewards, and with more variety, there is something for everyone. 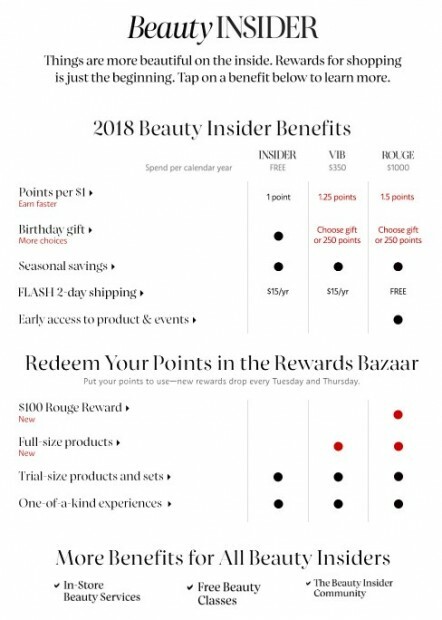 Sephora’s Beauty Insider Program, one of the most well-known rewards programs, grants all members access to free makeup classes and to an online community. The pool of rewards gets bigger as you reach higher tiers in the program: the more you spend, the more rewards you can choose from, including invitations to exclusive events, a private hotline, and free two-day shipping. Another trend that we believe will keep intensifying in the future is partnerships, also called coalition programs. More and more brands are giving their members the freedom to earn and spend points in a wider network of brands. Partnerships are a great way to gain a competitive advantage for several reasons. 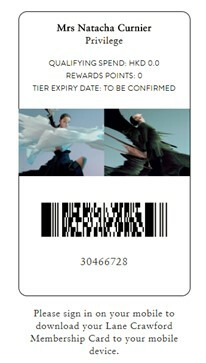 First, it creates more value for the loyalty program member, as they have much more options to use their points. Secondly, it will help your brand gain visibility by connecting with your partners’ customers. This strategy might help you gain customers that would not have bought your brand otherwise. J.D. Power’s last annual Hotel Loyalty Program Satisfaction Study reveals that third-party partnerships are a critical aspect of a loyalty program from a hotel guest’s perspective. Company’s satisfaction index raised from 8 to 12% when the program offered either special events, car rental or dining redemption. Best known as the technology behind bitcoins, blockchain offer many valuable characteristics: reliable, transparent, low cost, instantaneous, secure. These significant benefits make loyalty programs a great use case for blockchain technology. It can make loyalty schemes cheaper to run as it provides lower transaction and system management costs, in a more secure environment. By tracing all movements and transactions, blockchain also allows more transparent reporting and tracking, giving you more insight into customer behaviour. Some companies already made the switch: Singapore Airlines launched the world’s first blockchain-based airline loyalty digital wallet. Rakuten, (known as) the Amazon of Japan, recently announced that it will convert $9 billion loyalty program into a blockchain-based cryptocurrency, Rakuten Coin. Besides, we have seen that partnerships are a big trend for loyalty. Here again, blockchain can be of a real advantage. Today, the interaction between partners can be quite complicated, especially in terms of the convertibility and exchange of their points. With loyalty tokens as your new currency, you could add partners seamlessly while eliminating all intermediary: the only thing you have to do is agree on the terms of exchange. And what if the loyalty token could be exchanged with your friends or family? What if it could be sold to the open market? We are only at the dawn of the token economy, and there’s definitely more to come in the coming months and years.